My ‘Teddington library’ reading yesterday was a small success on many levels. It was my first library reading and to be honest, I wasn’t sure what to expect. I was pleasantly surprised. I had a small but intimate audience, which included a mother with her two daughters, not yet in secondary school, who sat attentively and listened to the poems. It was encouraging to know that one of the girls, was attending creative writing classes at school and I felt a little proud and honoured when her mum bought ‘Snow Calling’ for her, as a way to inspire a potential talent. Praises were given, small nods, cards taken, in fact, the sales in that one afternoon, four books, was probably the highest it has ever been at any of the readings that I have given so far. Now, I am not that good at maths but I calculated that it was almost 50% of the audience. It made think why that was. Poetry or new poetry is notoriously hard to sell. I’ve started to think about how the very nature of poetry, it’s personal, potentially intimate make-up might require a smaller space for it to be shared, maybe. Just one of many thought; we certainly, as an audience were able to discuss afterwards, my experience as an author and getting published, and that brought us closer somehow. I felt that the audience had actually bought not just the book but an ‘experience of the afternoon’, an experience that was free to hear, an opportunity to talk to the author without feeling intimidated, and then receive their signed, discounted copy of the book. In this harsh economic climate, I thought the format worked really well. Opportunities were opened for further contact and the book was made ‘real’ and ‘alive’ for them and me. So thank you everyone for a lovely afternoon. More thoughts on ‘why poetry is hard to sell’ in an article in: http://www.frictionmagazine.com in the New Year. 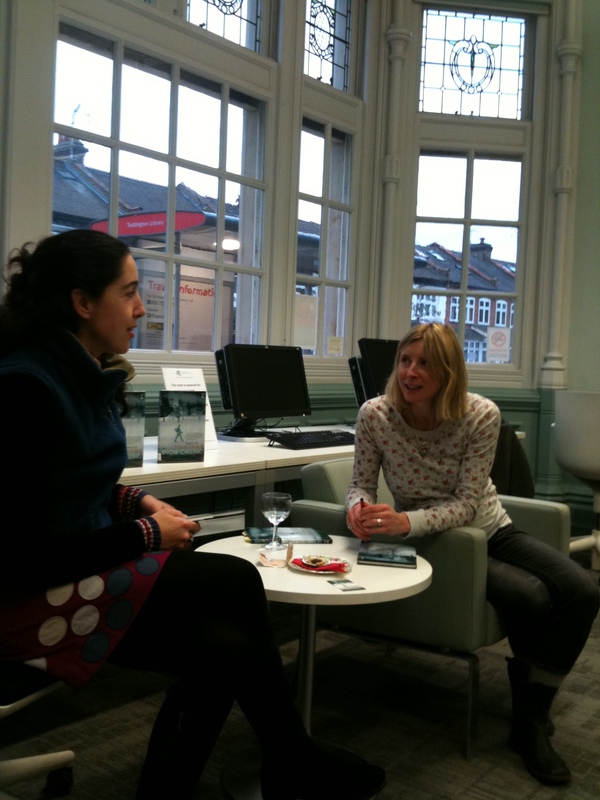 Glad it went well, congratulations… when’s the Chiswick Library reading happening then? Next on my list. Promise. Hope you will be there with Coco an Henry. Give them an early education in poetry? Hiya! I have a wordpress blog too – lets link to each other and encourage each other. Glad to hear this reading went well. I now have your book though I haven’t read it yet. Sorry, have been rubbish at keeping in contact. I am one day away from no 2, and having a flurry of energy. I think this is a great idea. I am trying to work on my blog and get a bit more confident with it. We should definitely interlink. Hope the writing is flowing, mine is a bit dry. Pingback: Why is poetry so hard to sell? Previous PostThe International Prize for the Worst Blogger………….